It amazes me , from time to time I run across photographers that have never used film. I suppose I shouldn’t be that surprised. It’s just that I have spent so long with film that It’s what I understand best. I have a digital Camera in fact,if I count my compact and my iPhone and iPad I have four. My new Nikon D800 has so many bells and whistles it’ll take me a long time to adjust. I’m still learning what all the menus do. Having said that I have five film cameras which I use and it’s these that I have owned since new or dreamed at one time or other of owning . It’s my film cameras that mean the most to me. I now have at least 3 of the cameras I used to dream of owning back in the eighties. Fulfilling those dreams has been a lot of fun I just wish I could have done it back then. With that I’d like to tell you what I own and, what were my dreams back then. 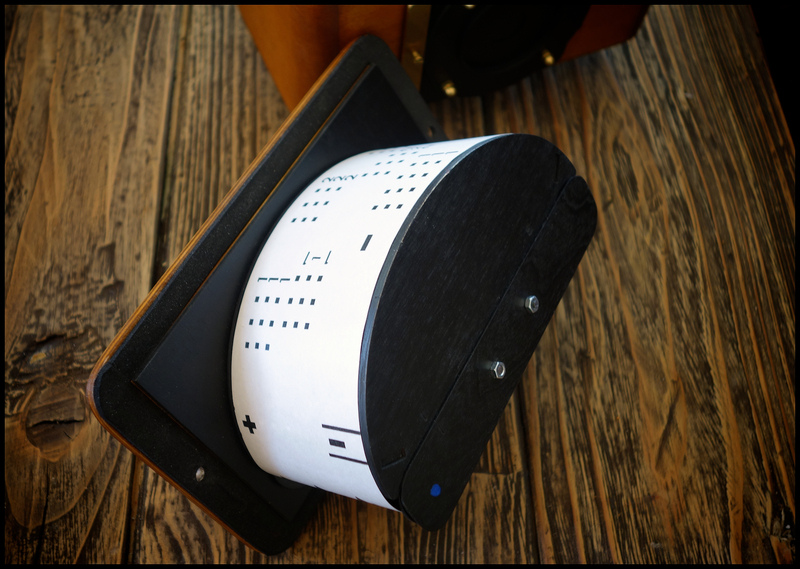 It won’t be a technical tour with in-depth comparisons and charts as long as your arm. If you want that you can get that elsewhere I’ll provide the links. This was one of the first cameras I dreamt of back in the eighties .I used to pass the camera shop window so many times a day and just stand and look. I got all the brochures and read them cover to cover. Sound familiar? I just didn’t have the cash to put together at the time. So why buy one now I hear you say. As I’ve said it was my dream camera. Secondly it’s still a fantastic piece of engineering. 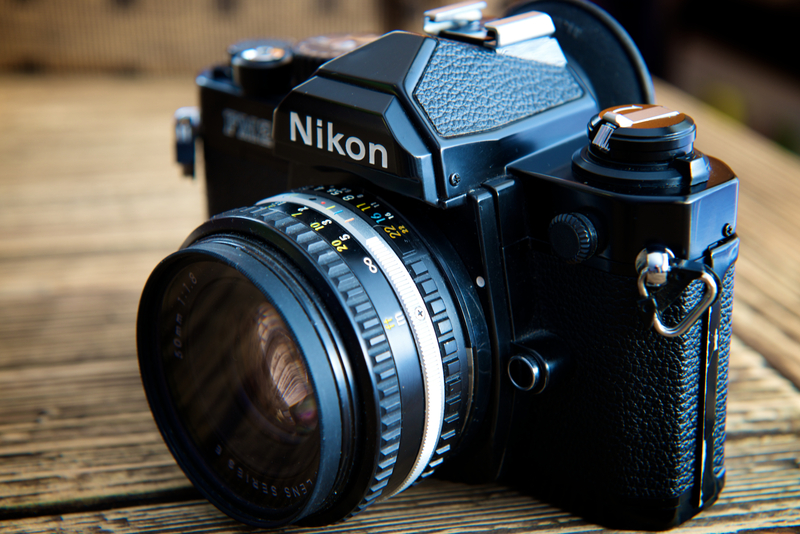 All Nikon F mount lenses fit and you even get focus confirmation in the viewfinder with manual focus lenses. It’s built like a tank (Lots of people say that about one camera or another but in the F4’s case it’s true). Try lifting one. No wonder it was a favorite of many professionals the world over. What’s more if you want to get into film again or are just starting out you can pick one up rather cheaply. Mine cost me £ 120 on ebay. On reflection I’d buy from a dealer though. But it’s your choice. I have the extra battery grip (MB21)on mine which makes my F4 larger and heavier. You do however get an extra shutter button for all the weight If you don’t want that go for the standard model with the MB20 grip instead. Nikon really found the sweet spot with this camera. It is still a great balance of form and function. I have to say that the F4 is all I dreamed it would be. To my shame I don’t use it enough. However when I do all those dreams come flooding back .I sure enjoy owning one . This wasn’t my first SLR that was an Canon EOS 600. Which I just pointed and shot and didn’t think much. 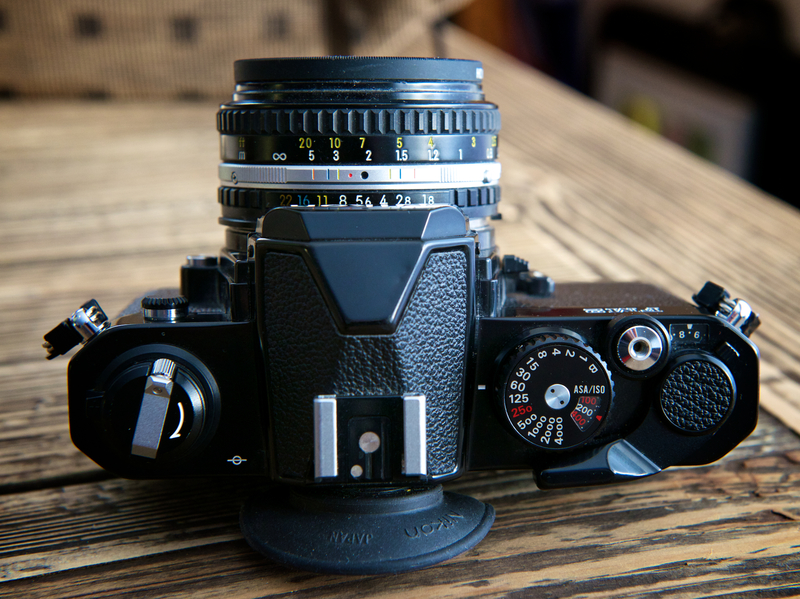 The FM2 was a learning experience .All photographers should start with a camera such as this . All mechanical no auto functions no menus just you and your eyes. The Eos was my replacement F4 when I got tired of it which was quickly I took it back to the same shop and asked what would be a better choice for someone who wanted a bare bones camera and didn’t have a Leica pocket. I could have chosen a Pentax K1000 or an Olympus OM 1 it was just the Nikon was the first I tried it sat well in the hand and it was black. So in the course of a few months I went from the all singing all dancing Eos to the DIY FM2. I have never regretted it. It taught me so much and provided me with some great shots and a better understanding of the photography basics which today in this instagram world many don’t take the time to learn. The camera followed me everywhere and has been well treated. 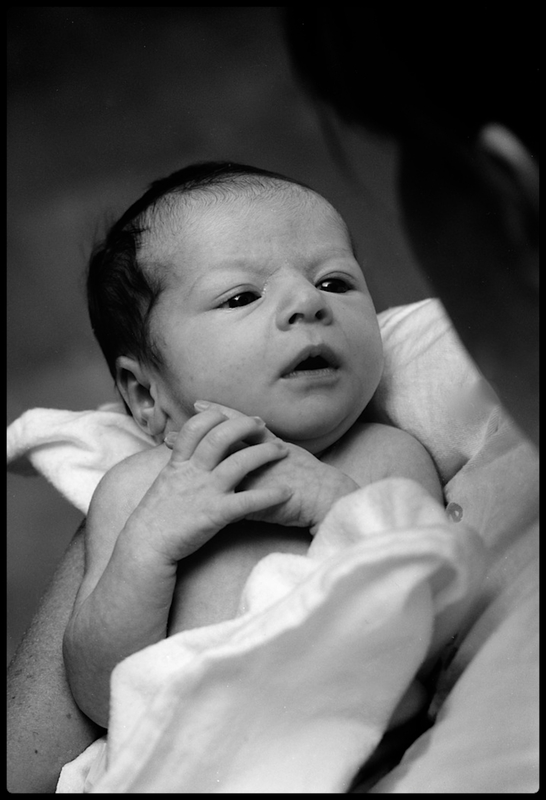 I’ve taken shots of both my son and daughter at their birth and used it on countless holidays and outings. It’s got a few dents and scrapes but I put them there. I’ll never sell it. They were right of course and to be honest dear reader a decoration is what it became for many years. In fact when I got married in the early 90’s it was relegated to the loft space and stayed there for 8years un-touched in a box of old cameras. So what made me go and dig it out? Well the story goes like this. I’d just started to develop black and white film again after many years. I wanted a Hasselblad,I had always wanted one. But with the high price and the total lack of handling skills for 120 roll film I thought the best way to practice was to try with a cheap camera first. I then thought of the Yashica I had in the loft. I dug around in the dust and boxes and emerged triumphant after only half-an-hour. I had no instruction leaflet . I found one on the Internet I didn’t have that in the 80’s. All the shutter speeds seemed to work so I ordered some roll film from a shop in Oslo. The Kodak T-Max 100 asa arrived it was a film I was used to using in 35m. The first thing I did was get on Youtube and watch a video of how the film should be loaded into a Patterson tank for developing. I sacrificed one roll and just took it apart to see how it was put together. I then used the film to train loading my reels with eyes open first then with eyes shut. When I was confident with that I loaded my first film in the Yashica. 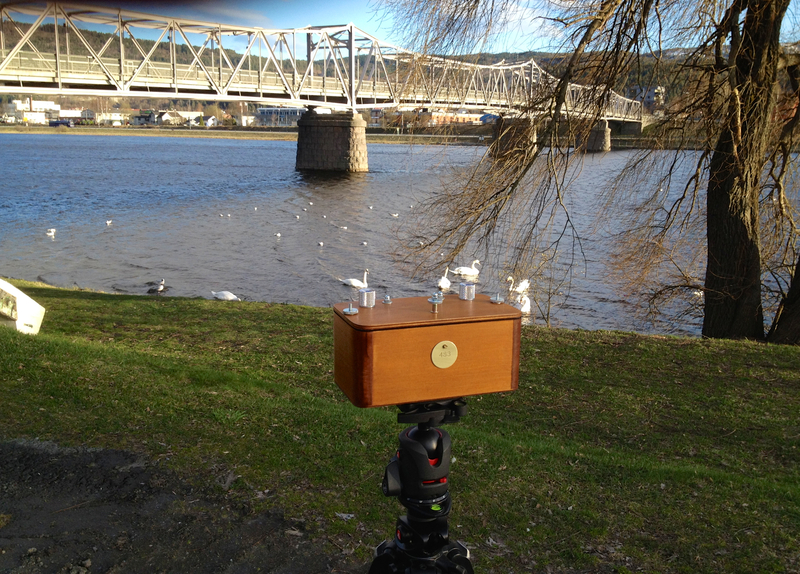 It was great fun to use my 1st TLR and my first roll film experience. I wasn’t expecting much. Boy! was I in for a surprise. In 2009 the Nikon D700 was already out in the market. I planned on buying one, so why didn’t I? I think if I really think about it I felt that, and I still do, that the electronics in any camera will die at some point. I work with electronics I should know. It’s this that keeps me from buying a M9P or a Monochrom. Dropping so much cash on a camera, which would loose value quicker that a new car seemed to hold me back. A lot of things are said about Leica’s and a lot is told about Leica owners. Me,I’m an average man with average pockets. 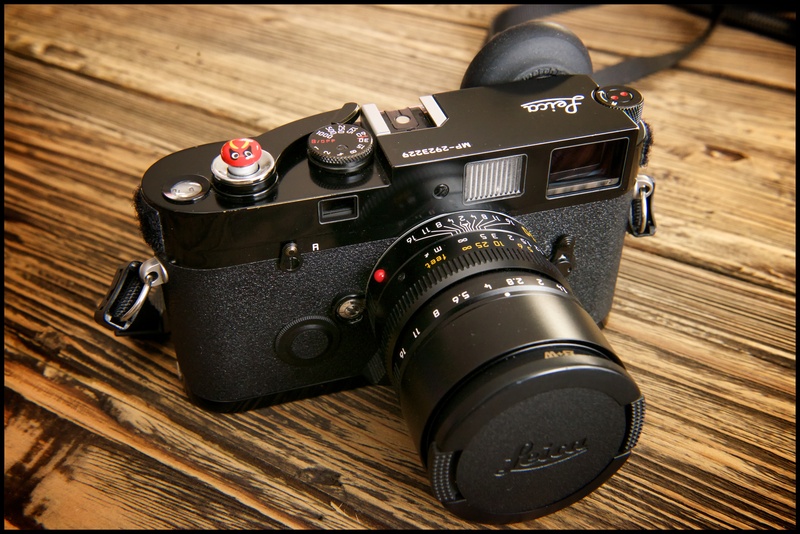 Buying a Leica felt like more of an investment, even though in reality a run-of-the-mill Leica is not. For the price you have to pay you would think they are made of some rare element like “Unobtaintium” Extremely expensive and the property of professionals, film stars, pop stars and, footballers wives. A Leica Rangefinder is a thing of beauty, it really is. In fact if anyone is reading this has never held a Leica especially a non-digital one then I suggest you do so if you get the chance. They are amazingly heavy for a small camera, you know immediately that you are holding something very special (It’s the Unobtainium). Anyway I started to do my research. During that time I started to read about the MP in its new form. I also read about how Leica made the black paint so it will rub leaving brassy goodness shining through. Sorry getting carried away for a minute. In short. I was hooked, and I knew of one for sale in London at about the same price as a new D700. I felt safe in my choice because what I understand best is film. Also If I had, after all my research and thinking made a mistake, I had a wonderful camera I could still trade in for a D700. My M6 dream from the 80’s became an MP reality. When I pulled the trigger I was still nervous about my choice. I needn’t have been. On closing I’d just like to add that in my eyes the camera always gets the limelight but when it comes down to it Leica’s are all about the glass. But that’s for another time. A couple of my Favourites from this wonderful camera. In 1991 I hung a poster on the wall “The History Of A Camera Hasselblad 50 1941-1991”. A year later another one joined it “Hasselblad 30Years In Space 1962-1992.” I’ve always had a “thing” for Hasselblads, back in the late eighties and early 90’s I used to collect brochures and adverts for Hasselblads. It was rather like Ferrari fans most can’t afford the real thing so they settle for posters and books and pictures of their dream. I never thought I’d own one. My interest in Hasselblad cameras stems from my love of all things to do with space flight. Why ? I grew up in the 60’s we followed the Apollo missions at school especially Apollo 8 and 11. I remember getting permission to stay up all night and watch the fuzzy black and white images of Neil and Buzz Kangaroo hop around on the Moon surface. Then when the astronauts returned to Earth those wonderful iconic shots of them on the Moon. Buzz with Neil’s reflection in his visor and the footprint shot spring to mind, all taken with a Hasselblad. I finally got around to looking at used prices for Hasselblads a couple of years ago. I wanted my bit of the legend so to speak. As usual I brought out all my old brochures and read them cover to cover and did a lot of reading up on forums and blogs and watched hours of videos on YouTube. I even purchased a couple of books. In the end I decided to go for the 203FE. Let me explain. That poster I hung on the wall has a 205 TCC on it was the latest all singing, all dancing Hasselblad at the time. In 1994 the “Simpler” 203FE was released. This really is sweet spot in the range, and is where, in my opinion your money should go in the 200 series. When I also discovered the 203 was used on the space shuttle I was sold. I just had to have one. I found one in a shop in Scotland in EXC+ condition. I also amassed a Prism finder PM-5 and a couple of backs a ECC-12 and an E-12. The Camera came with an Carl Zeiss 80mm 2,8FE I later added a Carl Zeiss 110mm F2.0. When I received My camera I had only ever looked down the viewfinder of a Hasselblad once before. I took in other words a risk. Lets just say, it was a risk I wanted to take. Otherwise I’d only have sat and thought “What if?“ The first press of the shutter made such a noise I nearly jumped out of my skin having gotten used the soft “snik” of my Leica MP. My homework paid off .All the reading I did really helped, after a few days I felt at home with this wonderful square monster. One more thing. Moving up to medium format is a real game changer. Even down to the equipment you will need for the darkroom or in my case the scanner. This should factor into your budget when considering medium. Your style of shooting changes also. It’s a slower process but a lots of fun. You can still use the Hasselblad handheld (The top shutter speed of the 203FE really helps here)but a tripod is a good idea. One thing I did discover was that 120 roll film is a joy to work with and every self-respecting photog should try it. Finally. I’ll never get into space, but I can own a piece of the legend which is Hasselblad and pretend I’m Buzz Aldrin. Karen Nakamura A Must Read. It has an aperture of F/300 and a focal length of 90mm which given the negative size equals around 21 mm in 35mm format. The camera took about 3 weeks to deliver which was what I’d expect as it had to be made to order. No instructions came with the camera so a bit of reading about pinhole cameras beforehand is a good idea. However the camera explains itself . You have to supply your own take-up spool as the camera came without one so if you are thinking of buying one don’t throw out your old 120 spools keep at least one. I had plenty lying around so no problem. Loading is just a question of feeding the film from one spool to the next over the curved plane inside the camera. Remember that this camera exposes 3 frames at a time. So when winding on you‘ll need to look for numbers 2,5,8,and11 through frame count window at the back of the camera. The shot here was a 10 sec exposure. To frame the shot I used a Leica 21 mm viewfinder but you can use your smart phone as a view finder or just guess,it’s part of the fun. It was shot on TMax 100 asa 120 film developed for 6 mins in Adox Adonal. The first camera I bought with my own money was an F-4. An impressive machine, indeed. I really enjoyed reading your blog. They’re great cameras. I like the F4S for stability. It is about the most comfortable camera I’ve ever held. 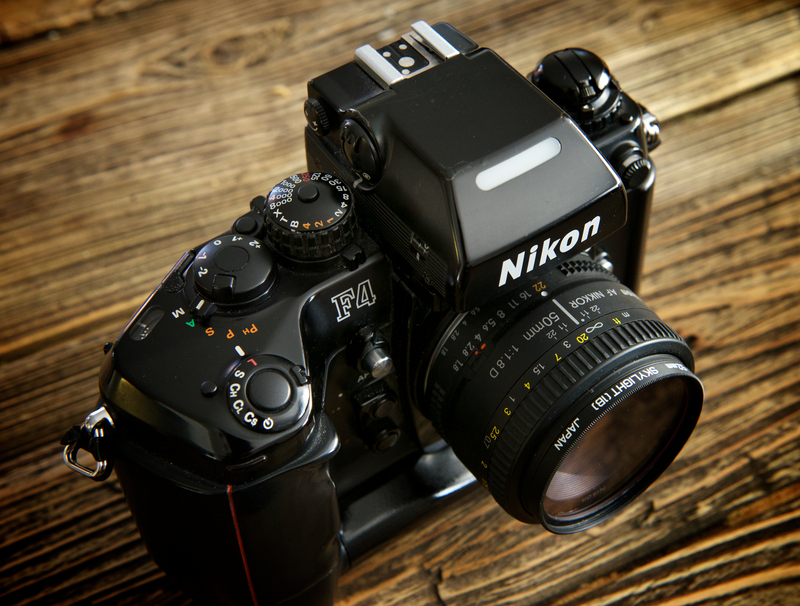 FM2n is a true workhorse and has great weight for hiking and long days carrying the camera. Nice blog. Keep enjoying your cameras and photography. Thank you for sharing! I especially love your Yashica, such a beauty … You are right… photographing on film is a different universe, I think every photographer who is really into photography as such should try it out… it is surely not for everyone though, as everything else…. 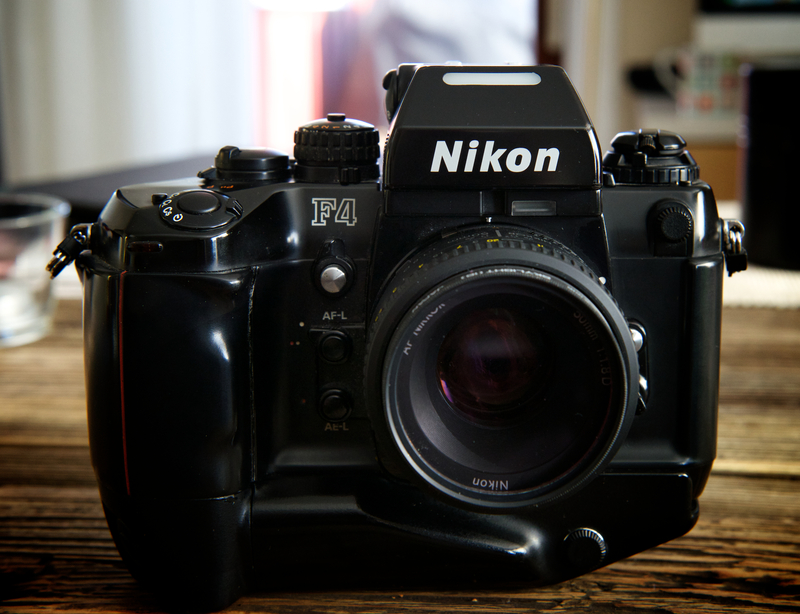 I love my FM2, but am equally enamoured with my FE2. Sadly, both lose out to the autofocus joy of the tiny Olympus Mju. Great photos. I’ve used film cameras before. It is definitely a real talent to use film. lovely images and great cameras! makes me want to get back in the darkroom this week! Glad to hear it. Thanks for dropping by. My first camera was the Argus C3 I borrowed from my father. The first camera I bought was a Nikon FTN. I still have both, although the only camera I use now is a Canon 5D Mark II. I also have a 4×5 glass plate camera that was my grandfather’s! I’m thinking I need to take a class in large format B&W photography just to get back to a more “tactile” form of photography. This post brought back so many wonderful memories of lusting after a great camera! Thanks for stopping by and taking the time to comment. I’m happy to have sparked some memories. I have also thought about large format. I love medium format. Large format would be a natural progression. Boy, you really whetted my appetite now! Thanks for stopping by my blog and liking so many of my posts. All shot with Canon. Are the Zeiss and Leica lenses really that much better than the pro-grade (L) glass from Canon? I started using my Father’s Leica when I was 5. He bought me a Box Brownie, then he bought a Yashicamat twin lens reflex. Wish I still had those! P.S. 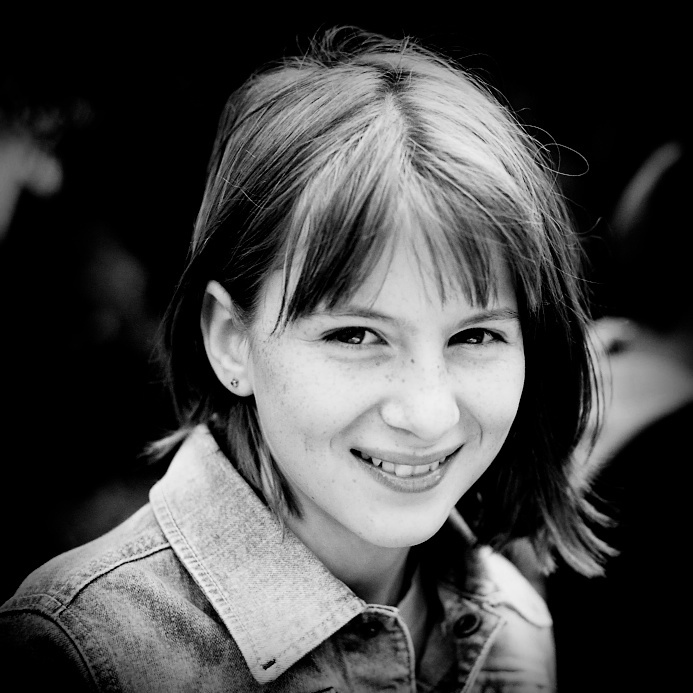 My fav photo of those you posted was the first Leica example.. very nice tones! Very informative and a good read. I wish I could one day own a camera with a solid proportion of Unobtaintium in it… but I am not getting too hung up about it. If it’s meant to be,it will happen.I delayed going digital for a couple of years because I purchased my MP. You sound so much like me. I too am fulfilling some wants that I couldn’t afford back in the day. Besides the Leica M2, I have a Leica IIIf, a Nikon F3, a hasselblad 500cm w/ 80mm CFE, and two Kodak Crestas from the 50s that are a blast. My all time goal and end all cameras is to someday have an MP, like that purdy one you have! Your Yashica looks very similar to an old Minolta autocord that my Father owned since the 60’s and passed on to me. I’m not a photographer though and tend to use my digital camera for taking snaps to use on my blog to illustrate the Land Rover refurbishment posts. However I have acquired quite a collection of cameras over the years and one day I intend to get the Autocord out and start using it as I’ve been told that it can produce very nice pictures. Oddly enough I did a post about my camera collection a few months ago and in doing so realised just how much camera equipment I had considering I’m not even a photographer! It was also fascinating to get all the cameras out and see how things have changed from the earliest WW2 example I have to the modern digitals. I feel you have added greatly to this? It is a great read and very helpful. Hi David. I actually posted it here tonight. But in case you need it, here’s the link. Thanks for your kind comments and support! 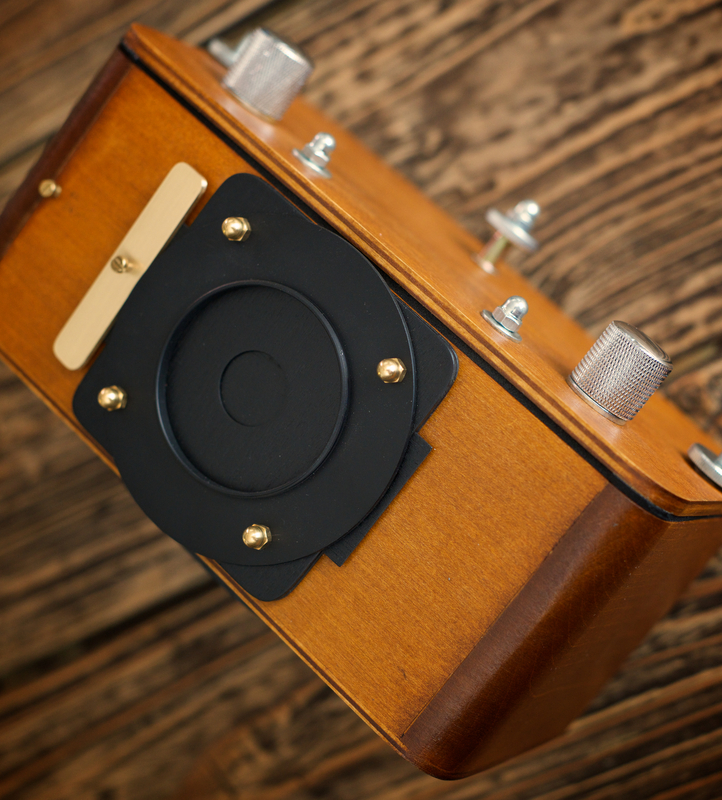 I really enjoyed your blog post on your ‘gear’ – some wonderful cameras there! Your article was very well written and I learned a lot! Thank you also for the pictures. I especially enjoyed the black and white. I’m not quite sure why but I’ve always loved black and white! 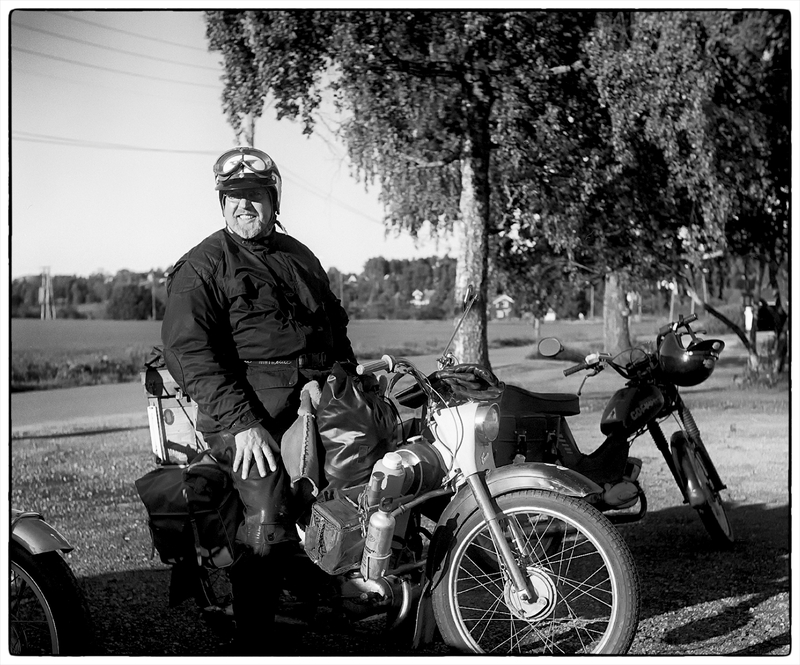 Ah, another FM2 owner! Lovely camera, sits well in the hand and a real workhorse! Practically unburstabke. I used mine for 2 decades, but I no longer shoot film now. 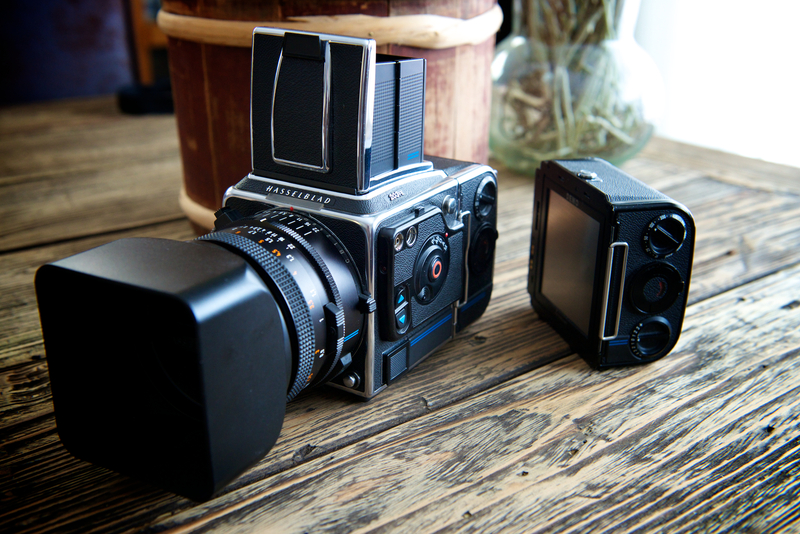 Keep enjoying your film cameras, and I’m very envious of the Hasselblad!